Altus Group Limited is an industry leader in global real estate consulting based in Saskatoon, with offices in strategic global locations. Altus Group's commercial property project management encompasses services that provide proactive and meaningful management, adding genuine value to the delivery process and completed asset. Their geomatics solutions makes research-gathering more efficient and less costly, and ensures accurate, effective geographical data. Products Carried: With its headquarters in Toronto and offices in strategic global locations, Altus Group Limited is a leader in global real estate consulting with expertise in real estate investor relations. 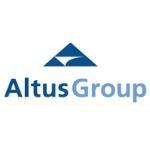 Altus Group’s commercial property consulting includes extensive in-house expertise, a comprehensive information database, leading-edge analytical techniques and wide-ranging contacts, enabling customized solutions to empower choices that can impact a diverse portfolio.